Eco-labels continue to gain popularity in the food industry, however are they going far enough to meet consumer demand for ethical & ecological products? The third edition of the Sustainable Foods Summit explores new horizons in sustainability for eco-labels. How do organic, fair trade and other eco-labels contribute to sustainability? What role should they play in a food industry that is increasingly looking at the triple bottom line? The summit aims to debate and discuss such issues in a high-level forum. Like previous summits organized by Organic Monitor, the summit will bring together key stake-holders in the food industry that include food manufacturers, ingredient & raw material suppliers, retailers & distributors, industry organizations & certification agencies, researchers & academics, investors, etc. 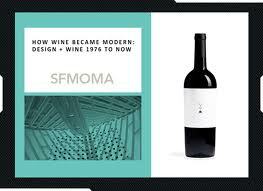 From November 20, 2010, to April 17, 2011, the San Francisco Museum of Modern Art (SFMOMA) will present How Wine Became Modern: Design + Wine 1976 to Now. This exhibition explores transformations in the visual and material culture of wine over the past three decades, offering a fresh way of understanding the contemporary culture of wine and the role that design has played in its transformation. Organized by Henry Urbach, SFMOMA’s Helen Hilton Raiser Curator of Architecture and Design, and developed in close collaboration with interdisciplinary artists/architects Diller Scofidio + Renfro, How Wine Became Modern marks the first exhibition to consider modern, global wine culture as an integrated yet expansive and richly textured set of cultural phenomena. The story begins in 1976, the year of the now-famous Judgment of Paris. There, in a blind taste test, nine French wine experts pronounced a number of Northern California wines superior to esteemed French vintages. However apt the decision, which was later criticized and repeatedly restaged, the event released shock waves across the globe as it gave the nascent California wine industry, as well as winemakers in many other parts of the world, new confidence, credibility, and visibility. This, in turn, had multiple effects including the expansion of wine markets, growing popular awareness of wine, the birth of wine criticism, vineyard tourism, and a host of other manifestations. From this moment forward, the culture of wine began to accommodate and valorize new priorities such as innovation, diversification, globalization, marketing, and accessibility. The exhibition, designed by Diller Scofidio + Renfro, combines architectural models and design objects with works of art, some newly commissioned, and multimedia presentations, as well as objects drawn from viticulture and everyday life. Viewers will encounter artworks, objects, and information within immersive, quasi-theatrical environments that engage multiple senses including smell. S.F. MOMA Exhibit "How Wine Became Modern"
On entering the exhibition viewers will pass alongside In [ ] Veritas, a newly commissioned wall work by Peter Wegner that charts more than 200 house paint colors related to wine. Wegner’s mural, more than 70 feet long, wraps an 18-foot-high curved wall; it vividly demonstrates the diffusion of wine-related language into everyday life while calling attention to the gaps that structure language and its relation to perception. Terroirs of the world. Bottled. Viewers pass behind the tableau to discover that the table represented in Diller Scofidio + Renfro’s photomural has become a display surface, one that recurs throughout the exhibition. In this gallery the concept of terroir is introduced. Terroir, a theory of place that is fundamental to the culture of wine, holds that distinctive, even unique qualities of soil and climate can be discerned in the character, taste, and aroma of the liquid. With the expansion of viticulture across the globe, terroir has become something of a holy grail that winemakers compete for and claim as their own. The installation combines, from 17 vineyards around the world, the following elements: a small soil sample; soil and climate data (including temperature and humidity in real time); and a quotation from the winemaker about his or her understanding of terroir. A small gallery juxtaposes Nicolas Boulard’s sculpture Nuancier Finement Boisé (Shades of Wood), which depicts a chromatic spectrum across 11 bottles of white wine, and Mitch Epstein’s photograph of the Opus One winery laboratory with a large vitrine stuffed with a selection of products used to make wine today. An Ox-Box, used to accelerate the aging of wine in the barrel, and Mega Purple, an additive used to make red wine darker, will be presented alongside packages of less controversial additives, including yeast, tannins, and oak beans. Quotations will help viewers situate these objects in the context of debates about how “natural” wine is or should be. A projection by Diller Scofidio + Renfro introduces a form of “precision viticulture,” highlighting the use of multispectral aerial photography and remote sensing technology to map vine growth and disease, a practice developed through a collaboration between Robert Mondavi Winery and NASA in the 1990s. A large, suspended vine and rootstock, their graft line presented at eye level, will address the hybridization of American and European rootstock over centuries as well as the more contemporary practice of grafting to address consumer demand for new varietals. A second artwork by Nicolas Boulard presents, as if real, a 1946 vintage of Domaine de la Romanée-Conti, a vintage that never existed because of an outbreak of phylloxera that year. Wine labels are charged with a unique challenge: to provide consumers with a sense of the liquid that remains, until the bottle is opened, entirely beyond reach. This exhibit gathers approximately 200 recent labels and organizes them within narrative categories, including: Good + Evil, Cheeky, Family, Femme, and Truth or Consequences. 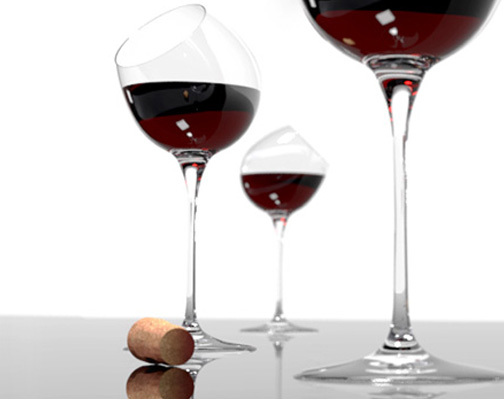 Along with other aspects of wine’s visual and material culture, glassware has undergone a dramatic transformation. Decanters and carafes have been reinvented to increase their oxygenating effects and to intensify their expressive character. Likewise, the wineglass has been subject to ongoing formal investigation during this period; in addition to varietal-specific glasses, we now have glasses that tilt to facilitate smelling and glasses that claim to be porous to oxygen. Diller Scofidio + Renfro’s extraordinary vitrine contains a deep pool of dark red liquid—fed by a slow drip from the gallery’s 18-foot ceiling—to provide a lush and luminous backdrop for some 30 suspended wineglasses. Over the past 20 years there has been an explosion of new winery and wine-related architecture around the globe. Scores of noteworthy projects have emerged recently, including wineries by Mario Botta, Santiago Calatrava, Norman Foster, Herzog & de Meuron, Renzo Piano Building Workshop, and Alvaro Siza, as well as emerging designers such as Sebastian Mariscal and Propeller Z. Many of these buildings are in California, Spain, and Austria, though there is hardly a wine-producing country that has not joined the race. Recent wine-related buildings by Frank Gehry, Steven Holl, and Zaha Hadid (respectively, a hotel/spa, a hotel/spa and visitors center, and a tasting pavilion/boutique) reflect the accelerating importance of wine tourism in recent years. The exhibition will present contemporary winery and wine-related architecture at three distinct scales. First, a map of the globe will indicate where approximately 200 notable projects are found and will demonstrate areas of concentration. An intermediate scale of photographs with accompanying text will identify 34 of the most significant buildings. Finally, four buildings will be presented in depth: Clos Pegase Winery, Dominus Estate, Bodegas Baigorri, and the Hotel Marqués de Riscal. Each project will be presented with an architectural model and other materials. Clos Pegase marks the starting point for more subsequent developments. In 1984, soon after founding its Department of Architecture and Design, SFMOMA sponsored a competition for the design of a winery (the first time a museum organized a competition for a building other than its own): Clos Pegase (1987), located near St. Helena in the Napa Valley. The winning architect-artist team, Michael Graves and Edward Schmidt, designed the winery at the height of American postmodernism as a faux-Pompeian compound. 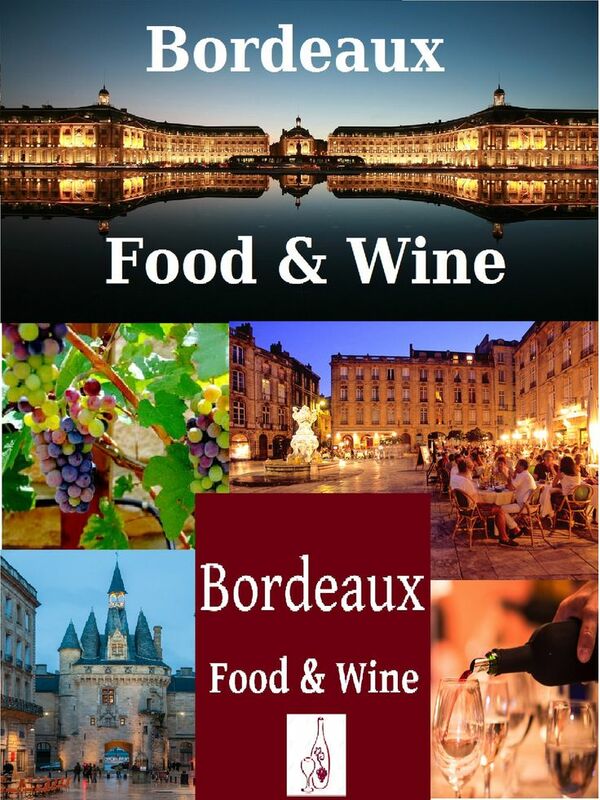 Three years later, the Centre Georges Pompidou organized two competitions for wineries, one speculative and the other to renovate Château Pichon-Longueville in Bordeaux. Together these events signaled wine’s effort to become “modern” by reaching towards contemporary architecture. Dominus Estate by Herzog & de Meuron (1997), the first architecturally significant winery to be built after Clos Pegase, and the Hotel Marqués de Riscal by Gehry Partners (2007) mark two ends of a spectrum. On the one hand, Dominus asserts a strong and certain link between the building and the land; its gabion structure articulates a nearly invisible building that, among other qualities, establishes direct visual contact with the vines below. Riscal, by contrast, aims for maximum visibility as it sets, above a medieval village in the Rioja region of northern Spain, a miniature Guggenheim Bilbao, a tangle of polychromatic metal that contains, beneath its exuberant burst, a hotel and conference center for tourists as well as a spa specializing in grape- and wine-related treatments. Nearby, Bodegas Baigorri (2003) by Iñaki Aspiazu Iza articulates a sophisticated approach to its site, the demands of wine production, and the visitor experience. A stark, nearly empty glass pavilion rests elegantly upon a mesa as, hidden from view, a subterranean interior of raw concrete and steel descends six stories to organize the production sequence with respect to gravity. A passageway alongside permits visitors to observe the action as they descend towards a tasting lounge and restaurant. One wall of this gallery will contain a suite of newly commissioned photographs by Mitch Epstein. These works consider moments of social interchange in the Napa Valley, touching on matters of tourism, labor, and class. A facing wall includes Thomas Ruff’s photograph of Dominus Estate. 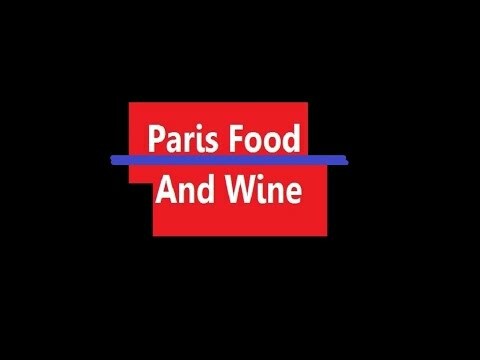 A documentary film by Bêka gives access to a dining facility designed by Herzog & de Meuron for Château Jean-Pierre Moueix in Pomerol, Bordeaux, a place where workers dressed as American cowboys drink and celebrate during the period of intense labor that marks the harvest. Projected on the end wall of this gallery, Dennis Adams’s SPILL follows the artist’s walk through Bordeaux, a full glass of red wine hovering perilously close to his immaculate white suit. Walking through the city, the artist recounts unpleasant historical moments such as the city’s role in the slave trade and Vichy France; Adams slowly loses composure as the red wine spills and stains him. The taste of wine has been mediated, in our times, by a panoply of sources, from sommeliers to wine critics and popular media. The role and influence of these mediators cannot be overstated as, for example, critics such as Robert Parker influence not only what some consumers buy but also what some producers make. A media alcove containing eight monitors will present a medley of images drawn from television, film, advertising, and YouTube. A large vitrine houses an extensive range of material to address three themes: tastemaking, wine education, and wine on the go. Artifacts include wine diet books and other print media (including the influential Japanese manga Kami No Shizuku [The Drops of God]), wine knowledge games, wine-inspired soft drinks, and others. A commissioned video work, Ritual Composition No. 1 by Marco Brambilla, weaves a matrix of images from the history of cinema focusing on the ritual clink of wineglasses. Diller Scofidio + Renfro’s inventive display draws viewers into an intimate encounter with the smell of seven wines, each held in a glass flask suspended from a translucent wall. Here, at the end of the exhibition, after learning about wine at a wide range of macro- and socio-cultural scales, the wall brings viewers into nearly direct contact with the liquid itself, providing an opportunity to enjoy its fragrance while learning about the education of the nose. Words whose meanings have shifted, disappeared, or been contested will be paired with each wine to emphasize the role of language in structuring sensory experience. Viewers exit the galleries along the Peter Wegner mural, seeing it for a second time and understanding more clearly the ambiguities it poses. Moving toward the fourth-floor north galleries, upon reaching an opening in the museum’s thick, cylindrical wall, they will discover an invisible work by smell artist Sissel Tolaas. Commissioned for this exhibition,St(62) + [PGh(76) x Rp(100)],10 captures the aroma of a full bottle of the “perfect” wine— one of two bottles awarded 100 points by Robert Parker in 1976—on the artist’s breath. SF’s Fine Rosé Celebration Returns May 11th to Butterfly Restaurant. 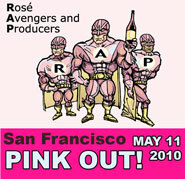 RAP and Butterfly restaurant host the 6th Annual PINK OUT! SF Rosé Celebration on Tuesday, May 11th from 6:30pm to 8:30pm. The celebration features an extensive walk-around tasting of 40 plus classic still and sparkling rosés from throughout the world with many of the winemakers in attendance. Chef Robert Lam’s rosé-inspired Pan-Asian appetizers created from sustainably and organically sourced ingredients, chill DJ grooves, and Butterfly’s contemporary décor and fabulous views of SF Bay will make for yet another unforgettable tasting! Guests are encouraged to wear their most fun and entertaining pink attire. Online tickets for this perennial sell-out event are available now. The Edible Schoolyard (ESY) is a program of the Chez Panisse Foundation. 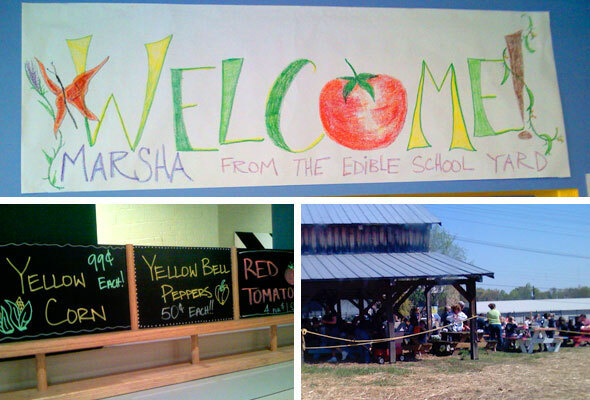 At ESY, students participate in all aspects of growing, harvesting, and preparing nutritious, seasonal produce. The Edible Schoolyard, started by the Chez Panisse Foundation. Students get hands-on experience in the kitchen as well as the garden and all lessons are fully integrated into their class curriculum. Kids learn an appreciation of the natural world and what sustains us as well as using skills such as reading, math, coordinated cooperation, accurate measuring and workspace cleanliness. The Edible Schoolyard was started in 1995 at Martin Luther King Jr. Middle School in Berkeley, California by Alice Waters of Chez Panisse fame. To date, the acre of land that is the Schoolyard Garden boasts, 15 years later, lush seasonal vegetables, herbs, vines, berries, flowers, and fruit trees. Last winter, in the Edible Schoolyard garden, the 6th and 7th grade students installed a rainwater catchment system that can hold up to 6,000 gallons of water. From October to May, which is our rainy season in Berkeley, we captured and stored over 5,000 gallons of water. Our students calculated that for every inch of rain that falls we will have 200 gallons of water. Here’s the latest winery update for Pink Out!